A Harry Styles fan hit by shoe says it was the best day ever. 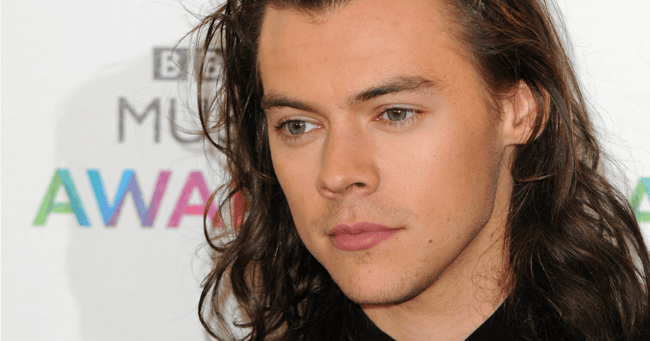 Fan gets hit in the head by Harry Styles' Gucci shoe, declares it best day ever. Having the chance to meet your idol is a dream few of us will actually realise. Even fewer will get the opportunity to be close enough to physically touch them. As for copping their shoe to the head? Well, as far as we know it’s only ever happened to one – with a Gucci shoe no less. After attending his performance outside the Today Show in New York, Harry Styles super fan Valerie said she experienced exactly that. “HARRY DID A STAGE DIVE AND KICKED ME IN THE HEAD WITH HIS GUCCI SHOE THANK F***ING GOD,” she wrote on twitter after Monday’s performance. The tweet has since been retweeted over 17,000 times. The incident reportedly occurred when the singer attempted to crowd surf. Listen: What happened when podcast director Monique Bowley met her idol. Post continues after audio. While the designer loafer reportedly knocked out her ponytail, Valerie was fortunately not hurt by the incident. In fact, she couldn’t have been better, calling it the best day ever. She even ended up meeting the singer again at another performance the following day. There were no flying feet involved. This time she was able to get a selfie with him, as well as a picture of their matching hand tattoos. Naturally the shoe incident had many Styles’ fans talking, with many saying she was “living the dream”. “SHE IS LITERALLY LIVING THE DREAM OF MANY, INCLUDING ME???????? I SO HAPPY FOR HER,” read one tweet. It’s a story to tell the grandkids for shoe.